Eric Hall is currently Head Athletic Trainer. At Cary High, Hall participated in track and field, swimming and cross country and was a student athletic trainer during football season. He graduated from East Carolina and was the head trainer at Southeast Raleigh for six years before coming back to Cary in 2006. He was the N.C. 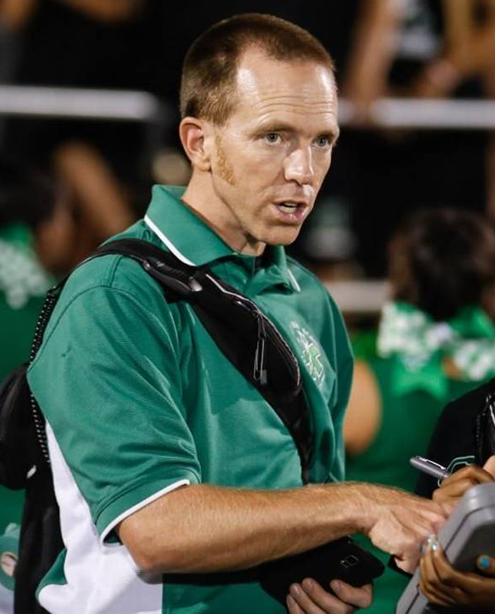 Athletic Training Association’s secondary schools athletic trainer of the year in 2013, the N.C. Shrine Bowl trainer in 2012 and won several awards for helping save the life of Michael White, a football player who collapsed on the sideline in a 2010 scrimmage at Wakefield.